One of the first producers to release most of its 2009 vintage was JoieFarms in Naramata. A boutique producer, its wines have been popular since the first vintage in 2004. This year, Michael Dinn and Heidi Noble, who own the winery, released their products early enough that restaurants could stock up for the Olympics. No doubt, that was a clever strategy. From what I have heard, visitors for the games lapped up British Columbia wines. For a variety of reasons that I will not get into, other events delayed my review of the wines. However, all except the Muscat are still available on the winery’s website as well as at wine shops and restaurants listed on the site as well. I have now tasted enough wines from the 2009 vintage to conclude that, once again, the Okanagan and the Similkameen have delivered excellent wines. That is remarkable, considering the challenging weather. Michael and Heidi set the scene well in their vintage comments: “More so than any vintage to date, the story of the 2009 vintage for JoieFarm was almost entirely about extreme weather,” they write. “The 2009 vintage sandwiched a very long hot summer in between the harshest winter of the past 30 years and the earliest autumn frost in recent memory, with little in the way of shoulder seasons in between. Deep cold in December 2008 of -27C for 7 days left many varietals with serious vine death and bud damage on more sensitive varieties. “The varietals … which proved to be the most winter hardy, according to the Agriculture Canada Summerland Research Station, were Pinot Noir, Gewürztraminer, Riesling and Chardonnay. “The vintage itself was characterized by a cool late spring (3 weeks later than normal) that morphed into a dry early summer in May which continued all the way through September. JoieFarm began harvesting on September 9 – a full four weeks earlier than normal. The prolonged heat accelerated ripeness and timely vineyard management allowed us to bring in all of our fruit by October 6th. “That was very fortunate as Autumn came to a screeching halt on October 9th with night-time temperatures falling to -8C for three nights in a row. This deep freeze was particularly untimely as most of the red grapes in the Okanagan were still hanging. The valley’s growing season was over abruptly about four weeks earlier than normal. The bottom line: JoieFarm’s 2009 wines are among the finest ever made by this winery. JoieFarm A Noble Blend 2009 ($23.90). With a release of 2,990 cases and 450 magnums, this is the winery’s flagship white. It is a blend of Gewürztraminer (60%), Pinot Gris (20%), Auxerrois (12%), and Riesling (3%). The template is a white Alsace blend known as Edelzwicker (which means noble blend). The aromatic aromas (pears, citrus, honey) lead to appealing flavours of ripe pears, peaches and grapefruit, with a refreshing, dry finish and a moderate 12.5% alcohol. 90-92. JoieFarm Chardonnay 2009 Un-Oaked ($22.90). The winery released 1,210 cases of this refreshingly fruity take on Chardonnay. It begins with clean aromas of fresh apples. On the palate, there are flavours of apples, nectarine and citrus. The winery’s tasting notes even speak of fresh cucumber rind which may suggest over-analysing this appealing wine. Let’s just agree it tastes like more. 88-90. JoieFarm Riesling 2009 ($22.90). The winery produced 1,213 cases of a delicate, 11% alcohol Riesling. As that alcohol suggests, a fair amount of residual sugar remains in the wine (popping the flavours beautifully) but the lively acidity balances the wine so well that one would think this is a dry Riesling. It begins with herbal and citrus aromas. On the palate, there are flavours of herbs and lime and minerals. The wine is refreshing, with a lingering finish. 90. JoieFarm Muscat 2009 ($22.90). Only 151 cases were produced and the wine is sold out at the winery. The grapes – Moscato Giallo – are from JoieFarm’s own young vineyard. It begins with quite dramatic aromas of spice and rose petals. On the palate, there are rich flavours of spiced fruit – white peach perhaps. The finish shows the classic bitter bite of the Muscat variety. The wine is bone dry. 88. Günther Thies was the last person I expected to find among the New Zealand wineries at last week’s Vancouver Playhouse Wine Festival. I had my nose in a delightful Elephant Hill 2008 Reserve Sauvignon Blanc when I noticed that name on the identification of the individual behind the table. The last time I saw Günther was a decade ago at Schloss Schönborn, a 650-year-old German estate winery on the Rhine. He was the general manager of that distinguished producer and had been busily modernizing the cellars and the equipment. I was there to interview him about the estate’s legendary Eiswein. One of his equipment decisions was to buy modern presses. He sold his older Willmes presses to the Gehringer Brothers winery in the Okanagan, who use those sturdy presses to make Icewine. Günther admitted to a touch of regret at parting with those presses. While his gentle new press was ideal to make clean, fresh Rieslings, the comparative brute force of the old Willmes presses was more efficient at squeezing frozen grapes. Today, that is not a consideration in New Zealand where no natural Icewine is made. Günther is now the managing director at Elephant Hill, a sparking new winery in New Zealand’s Hawkes Bay region. The winery is owned by German investors Roger and Reydan Weiss. They were enchanted at the beauty of New Zealand during a 2001 visit. By 2003 they had acquired land for a 25-hectare vineyard. And they recruited Günther to manage the winery. The total Elephant Hill complex is remarkable. It also includes a very fine restaurant and a three-bedroom lodge so luxurious that guests can be picked up at the local airport in a chauffeur-driven Rolls Royce. The winery, which opened late in 2008, is stunningly beautiful as well. The contrast between this and the Schloss Schönborn is dramatic. The wines, which are piling up awards, are also different. The whites include Sauvignon Blanc, Chardonnay and Viognier and the reds include Pinot Noir and Syrah. At this writing, none of the wines is listed in British Columbia. Hopefully, some importer is picking them up. The 2008 Syrah Reserve, which sold for $40 in the wine festival store, is worth every penny. Maria Cristina Cifuentes, the commercial manager of Chile’s Viña Haras de Pirque, is another friend from bygone winery visits. She is a woman of elegant charm and I had the memorable pleasure of sitting at her table during a tour of Chilean wineries a decade or so ago. It was a delight to find her pouring Haras de Pirque’s excellent wines at the festival. The winery was established in the early 1990s by Eduardo Matte, a successful businessman and perhaps the leading breeder of race horses in Chile. His vast horse farm in the Maipo Valley also includes 120 hectares of vineyards. The memories of visiting the winery remain fresh not just because of Maria Cristina’s grace but because the winery here is among the most eccentric of designs. It is shaped like an immense horse shoe lying flat, with the claws, which contain offices and tasting rooms, looking out across the farm. I also recall asking the winemaker what it was like making wine in the horseshoe. He rolled his eyes and said that all that curved plumbing had its considerable challenges. I was stunned to find that none of the wines are listed in the British Columbia Liquor Distribution Branch, although I know that some are available in private wine stores. The winery’s Equus 2009 Sauvignon Blanc, only $16.99, is a 90 point wine, full of tropical flavours and exquisitely balanced. The Equus 2008 Carmenère, a steal at $15.99, is soft and juicy and full of spicy plum flavours. The Haras Character Syrah 2007, $29.99, is a dark, concentrated, meaty red. At the top end of the range is Albis 2004 ($59.99), an elegant blend of 75% Cabernet Sauvignon and 25% Carmenère. This wine is made in a joint venture with Italy’s Antinori winery. Many wineries in Chile suffered damage, sometimes severe damage, in the recent earthquake. Haras do Pirque came through the quake fairly well, losing only a 26,000-litre tank of wine and a few barrels. Ngatarawa Wines Ltd. of New Zealand is another winery with horse racing in its blood. At the wine festival, managing director Alwyn Corban, who helped found the winery in 1981, was pouring two wines under his Stables label and two under his Silks label. Here is hoping he has an easier time listing these fine wines in BC that his father Alex experienced about 40 years ago. Corban’s Wines, then owned by the Corban family, was one of the earliest New Zealand wineries to begin exporting to this market. Alex came knocking on the door when the gatekeeper was still the redoubtable Colonel Donald McGugan, who basically ran the B.C. Liquor Control Board from 1923 until he retired, aged 80, in 1969. The colonel’s office was in Victoria. Alex had arrived in Vancouver, made an appointment with the colonel and took the ferry over there. The colonel always took his supplicants to lunch at the Union Club, plying them liberally with martinis before, often, turning them down. Corban’s Sherry was turned down by the colonel but Alex had such a skin full of martinis that he stayed overnight in Victoria before coming back to the mainland. As luck would have it, he was invited to a reception where he met Attorney General Robert Bonner, the minister responsible for the liquor board. Now the Corbans are mild-mannered, none more so than Alex. But he summoned the courage to complain to Bonner about his reception in Victoria. The attorney general took pity on him and listed Corban’s Sherry. It remains on the list to this day at $13.49 a bottle. Probably no other New Zealand wine has been in this market so long. Bigger and right up-to-date, the third edition of John Schreiner's Okanagan Wine Tour Guide will be in book stores and wine shops in early May. 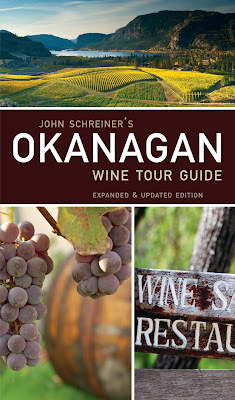 Published by Whitecap Books of North Vancouver, at $19.95, this handy pocket-sized book is now 300 pages and profiles 130 wineries. The second edition in 2007 was 264 pages and profiled 100 wineries. The book has become, I believe, a popular and helpful adjunct to wine touring, with an excellent winery map. The crisp profiles average about 350 words each, just the right length for a quick read before heading into a winery. Yet the information packed into each profile - backgrounds on the winery principals and winemakers along with wine recommendations -is designed to enrich the touring experience. Ancient Hill Vineyards, located just east of the Kelowna airport, is operated by Richard and Jitske Kamphuys (pronounced compass), immigrants from Holland who moved here in 1992. They switched from apples to grapes a few years ago. Their attractive winery has been located in the historic neighborhood where some of the earliest Kelowna vineyards were planted. Black Cloud Winery is a virtual winery operated by Township 7 winemaker Bradley Cooper and his wife, Audralee Daum. Their specialty is Pinot Noir. Cerelia Vineyards & Estate Winery is a new Similkameen Valley winery. Its name is inspired by a Roman harvest festival and the winery follows through with Roman numerals for its vintage dates on bottles. EauVivre Winery & Vineyards is another new winery in the burgeoning Similkameen Valley. I have always included this wine region in the Tour Guide. The number of wineries now has grown to the point that it will take a full day, and then some, to visit them all. Hidden Chapel Winery, located on a Cabernet Sauvignon vineyard beside the highway north of Oliver, expects to open next year. It is named for the chapel in the trees behind the winery. Intrigue Wines is an independent label from Roger Wong, one of the winemakers at Gray Monk Estate Winery. Roger (and partners) have vineyards near Oyama and plan to open a tasting room soon. Krāzē Legz Vineyard and Winery, which is just completing a tasting room, is the first winery in Kaleden. Meadow Vista Honey Wines is a virtual winery in West Kelowna. Its honey wines include what is believed to be British Columbia's first sparkling honey wine. Misconduct Wine Company is a virtual winery selling its wines through its agent in Penticton. The labels take off from tales of 1920s gangsters. OVINO Winery is opening this summer not far from Salmon Arm, on owner John Koopmans former diary farm. Painted Rock Estate Winery, a super-premium winery located on Eastside Road near Blasted Church, opens its tasting room this spring. It has been in earlier books but there was no tasting room information available. Rustico Farm & Cellars, south of Oliver, has been in previous books as a concept winery. Now it is open with an eccentric tasting room. Serendipity Winery is the newest winery at Naramata. Owner Judy Kingston was one of Canada's first computer lawyers before deciding to change careers a few years ago. Synergy Winery & Vineyards is yet another virtual winery. It is being launched by three Penticton businessmen. As an example of how quickly things change in the wine industry, this project has already been renamed Perseus Winery & Vineyards. A tasting room is planned. Volcanic Hills Vineyard & Cellars is a large winery being opened by Sarwan Gidda, one of the founders of Mt. Boucherie Estate Winery who decided to go on out on his own. Young & Wyse Collection Wines changed its name from Black Sheep Winery after last year's book came out. Located at Osoyoos just north of the border, this winery opens its tasting room this spring. In addition to these wineries, the new Tour Guide catches up with other changes on name or in winemaker. For the first time, I have also included the wineries of the Kootenays - two open and one due to open next year. The buzz during the South Okanagan Winery Association’s Banée 2010 was all about the creation of the Okanagan’s first sub-appellation, the Golden Mile. Observers had expected that the Naramata Bench might be the first sub-appellation. However, it sounds like the wineries on the Golden Mile are a little further along in defining the soil and other terroir characteristics necessary for the formal designation. One can make a good case for sub-appellations. The current British Columbia appellations are Okanagan, Similkameen, Fraser Valley, Gulf Islands and Vancouver Island. Most of these were created some years ago as a necessary adjunct to the VQA program, linking the wines of improving quality to the geography in which they are created. The appellations are legal and practical definitions. They have been especially important in helping consumers distinguish between authentic British Columbia wines and those made with imported wines (the cellared-in-British Columbia wines). It would seem that the term “appellation” gives a wine added credibility. The market-savvy Artisan Wine Company actually releases several cellared-in-British Columbia wines under the Westcoast Appellation. The appellation is entirely Artisan’s creation, inspired by the use of California, Washington and British Columbia wines in the blends. The British Columbia appellations have the force of law behind them. However, most of them cover far too much geography to say much about the terroir. The biggest appellation, Okanagan, takes in a viticulture area which is 100 miles long, with a bewildering number of soils, vineyard aspects and climates. There is a vast difference in the flavours of, say, a Riesling grown in Kelowna vineyards compared to one grown south of Oliver. The motivation behind the move to sub-appellations is to highlight, where possible, the flavours and textures that distinguish one region from another. More mature winegrowing regions around the world have already done this. Even Ontario has its own sub-appellations. It is a fact that consumers pick up on the individuality of the wines from a sub-appellation and come back to those wines if they like them. That is the commercial drive behind the interest in Okanagan sub-appellations. What the case for the Golden Mile? One could start with the marvellous Atlas of Suitable Grape Growing Locations, published in 1984 and, sadly, not in print. The Atlas logged sun radiation, heat units and soil types to come up with recommendations that have stood the test of time. Winemakers who came after the Atlas – like Bill Eggert of Fairview Cellars and Michael Bartier of Road 13 Vineyards – get their grapes from sites rated Class One or Class Two by that prescient Atlas. Golden Mile is defined by a series of alluvial fans cut by four of creeks coming down from the mountains on the west side of the Okanagan Valley. Much of the soil here was laid down when the last glacier retreated. There is an overall consistency to these soils – some clay, some gravel, lots of rocks that are well worn by having been tumbled by the glacier. These are generally well-grained soils with a modest amount of organic matter. The vineyards on these fans generally have an east to south-east aspect, with occasional north-east aspects. The vines catch the early morning sun. As Bill Eggert likes to say, a person is at his best in the early morning; why should it be different for vines? The vines are also in the shade of the mountains by late afternoon. These conditions stand in sharp contrast to the Black Sage Bench directly across the valley (also Class One and Two). There, the vines are on sand – a beach laid down by a glacial-era lake. A few years ago, a winery manager on the bench drilled a well through 410 feet of sand before hitting water. The west-facing vineyards on the bench work hard to add organic matter. Because the water drains very quickly, vineyards need to be irrigated with great care to keep the vines alive. The Black Sage Bench starts getting sun in mid-morning, bakes through the day, and has several hours more evening sun that Golden Mile. Obviously, there are varieties, like whites and Pinot Noir, better suited to Golden Mile and others, like Syrah, better suited to Black Sage. Varieties grown on both sides of the valley are distinctively different. As an example, compare Fairview Cellars reds, with their vibrant currant flavours, to the reds from Burrowing Owl, which tend to have more plum, chocolate and liquorice. While these distinctions can be masked by winemaking or by vineyard techniques, it should be possible to distinguish Golden Mile wines from Black Sage wines in blind tastings. Then it is a matter of deciding which you prefer on any given occasion or with particular food. Sub-appellations – there is an obvious case for Black Sage Bench as well – will improve our understand and appreciation of what the Okanagan delivers. There are, of course, wines that are blends of several appellations and thus carry British Columbia as the appellation. Here, winemakers build on the strengths or fix the weaknesses of each appellation or sub-appellation. Here, as well, drilling down into the characters of the sub-appellations is important. British Columbia’s first red wine from the old French varietal, Tannat, has just been released by Twisted Tree Estate Winery in Osoyoos. Chances are that you have never head of Tannat unless you follow the wines of Uruguay. It is the flagship red variety there. The Uruguayans are just gaining recognition for variety and that is probably a good thing for Twisted Tree. Pioneering an unfamiliar variety could be a lonely experience otherwise. Twisted Tree has released 260 cases, reasonably priced at $27.90. The wine is not yet up for purchase on the winery’s website as this is being written. Direct from the winery is the easiest way to get this unique Okanagan wine. I expect that some will be released through private wine stores (also listed on the winery website). It is a wine worth buying. As you could find out yourself by consulting Wikipedia (let me save you the time), Tannat is cultivated in the Madiran appellation in southwestern France – the French Basque country. Because the wines can be rather tannic, it has traditionally been used by the French in red and rosé blends. In 1990, a winemaker in Madiran applied a new technique called micro-oxygenation during fermentation, successfully softening the hard tannins. Wines from the Madiran appellation are not well known outside France. And until recently, that was also true of wines from Uruguay. The vine was introduced to Uruguay in 1870 by a Basque French immigrant, Pascual Harriague. The variety is also known in Uruguay as Harriague. Tannat vines have also been planted in Argentina, Brazil, Australia, and Italy. Recently, it has taken hold in the United States, notably Virginia and California (more tan 140 acres), the source of the cuttings for the acre now growing at Twisted Tree. The owners of Twisted Tree, Chris and Beata Tolley, replaced an old cherry orchard at the eastern edge of Osoyoos with vines in 2005. Deliberately, they decided against planting the mainstream varieties already growing in the Okanagan, reasoning that they could buy those varieties. Instead, they planted relatively obscure varieties (Tannat, Tempranillo, Carmenère, Roussanne, Marsanne and Viognier). That has allowed them to produce novel wines, hand-selling many of them directly from the winery. Subsequently, they also put in the Okanagan’s first planting of Corvino, an Italian red used to make Amarone. Twisted Tree 2008 Tannat is a dark wine with a bold 14.9% alcohol but with so much fruit that one never notices the alcohol. It has an aroma that is smoky, meaty and redolent with red berries. As my companion put it, it is a nose like a good cigar. On the palate, there are flavours of currants, cherries, mocha, leather and spice. The flavours are vibrant and the finish is lingering. The tannins are firm enough (but not hard) that the wine benefits from resting in a decanter for a time; it was still tasting very good the next day. 91. CedarCreek Estate Winery has recruited a senior Australian-born winemaker to take over from Tom DiBello, who resigned last month. 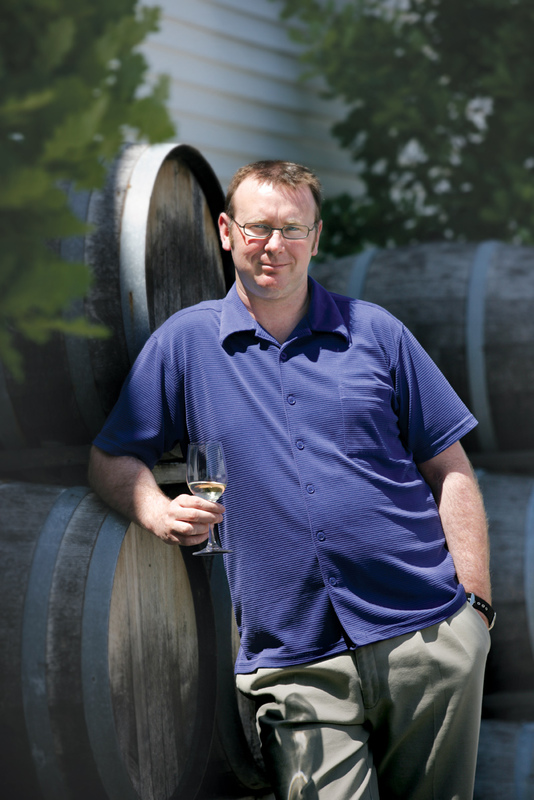 Darryl Brooker, who came to Canada in 2003 to supervise the building and launch of Flat Rock Cellars near Jordan, takes over the CedarCreek cellar in mid-May. He started his winemaking career in the vineyards at Mountadam Vineyards in the Barossa Valley and then went on to a four-year-stint at Villa Maria Estates Winery in New Zealand before coming to Ontario. Flat Rock, a producer of Pinot Noir, Chardonnay and Riesling, is, technically, a leading edge Ontario winery with gravity-flow architecture designed for gentle handling of grapes. In addition to making Flat Rock’s initial vintages, Darryl also convinced the owners to package the wines under screw-cap closures at a time when this was still a radical idea in Ontario. “That came over with me from New Zealand,” he told me in a 2004 interview. Villa Marie’s wines were all under screw cap. He will not need to fight that battle in the Okanagan. 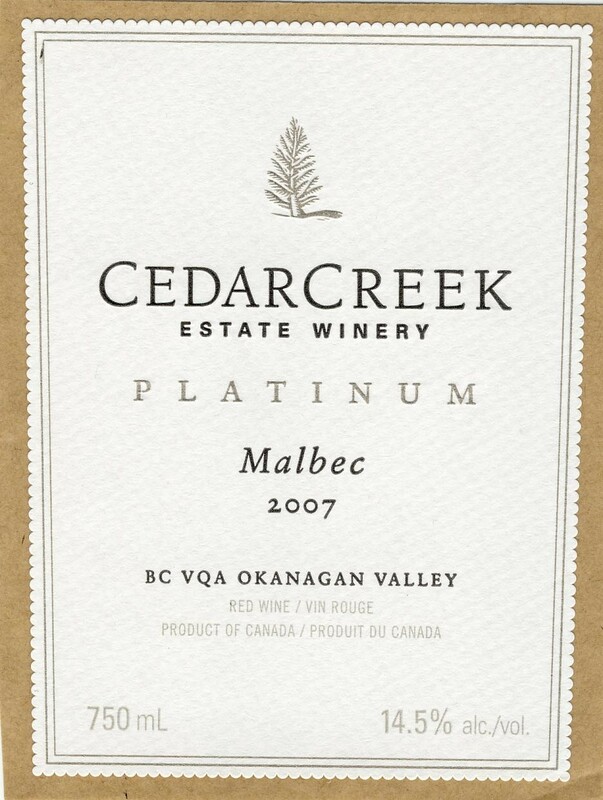 CedarCreek has switched most of its wines to screw cap in the past two vintages, over the initial scepticism of Senator Ross Fitzpatrick, the scion of the family that owns the Okanagan winery. Since 2005, Darryl has been the winemaker at Hillebrand Estates Winery, Andrew Peller Ltd.’s premium boutique winery near Niagara-on-the-Lake. He also has supervised the winemaking at Thirty Bench Winery, another boutique winery and a Riesling specialist that Peller bought several years ago. The move to CedarCreek will allow Darryl once again to work primarily with estate-grown grapes. When he joined Flat Rock, an exclusive estate producer, he described that as “a bonus” for the winemaker. 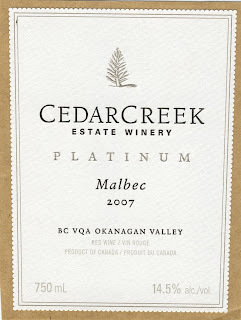 Like Flat Rock, CedarCreek is largely self-sufficient in grapes, with vineyards in both the central Okanagan and near Osoyoos. For a winemaker, CedarCreek must be a dream assignment. It is already one of the Okanagan’s best producers; it has been Canada’s winery of the year twice, among a long list of other rewards. By coincidence, the winery just released four of its 2009 white wines and three of its premium Platinum (or reserve) reds from 2007 at a tasting this week in Vancouver. Here are my notes. Since wine growing resumed on Vancouver Island in the early 1990s, the industry there has lived largely in a cocoon. Because most of the wineries are small, they usually sell everything they make to consumers, restaurants and tourists on the islands. Averill Creek Vineyard’s Andy Johnston is breaking from that cocoon. The Cowichan Valley winery, whose production now has reached 6,000 cases a year, has recently appointed a Vancouver agent. The Averill Creek wines are beginning to show up in Vancouver wine shops. For the second year in a row, Andy will have a table at the Vancouver Playhouse International Wine Festival. And this week, he hosted his first tasting with the British Columbia Wine Appreciation Society in Vancouver. To be fair, Andy is not the only island winery selling into the Vancouver market with some regularity. Others in the Vancouver market include Salt Spring’s Garry Oaks Winery and Pender Island’s Morning Bay Vineyards. Venturi-Schulze Vineyards does occasional tastings on the Lower Mainland(by invitation) and sells wine and balsamic vinegar directly. (Venturi-Schulze began opening its Cowichan Valley tasting room two years ago for weekend tastings.) Cherry Point Vineyards has been at the Wine Festival several times and has had wines in various VQA stores. Rocky Creek Winery of Duncan has also penetrated the Vancouver market in the past year and has its wines in eight or nine private stores. Sea Cider’s excellent ciders products are available in the Everything Wine stores. Tugwell Creek’s meads have shown up in Liberty’s stores. Alderlea Vineyards used to ship its wines to one Vancouver restaurant. Joe Busnardo, the owner of Divino, still has a couple of wine stores in the Vancouver area but I don’t know whether they carry his island-grown wines or the remnants of his Okanagan wines. Quite possibly, other island wines show up from time to time in Vancouver but whether it is a critical mass is questionable. I have excluded Church & State from this list even though that winery, which has a facility on the Saanich Peninsula, is quite active in markets off the island. Most of its vineyards are in the Okanagan; the wine is made there and an Okanagan tasting room opens this year. Among the island wineries, there have always been tensions between those that bring in some Okanagan grapes and those that use only grapes grown on the islands. Now, the estate wineries on the islands have created their own association, promoting wines grown on the island. I prefer not to take sides on the issue. I just want full disclosure on the labels. Averill Creek is definitely an estate producer only. Andy has about 30,000 well-tended vines on a 30-acre vineyard in the Cowichan Valley north of Duncan. All of Averill Creek’s wines come from this vineyard. Andy is a British-born doctor who practised in Alberta for about 30 years before buying his Cowichan Valley property in 2001. Long passionate about wine, he had decided a few years earlier that he had “only so many patient visits in me.” Even before he bought his land, he began working vintages in commercial wineries, notably in New Zealand, to get hands-on experience. Since Averill Creek’s first vintage in 2004, he has employed professional winemakers even though he has acquired those skills. The reason: it frees him up for work in the vineyard where, in his view, 90% of the winemaking is done. Averill Creek’s focussed portfolio is an excellent expression of the Cowichan Valley’s terroir and that is why the Vancouver market should be pleased to see these wines. The Okanagan and the Similkameen grow excellent wines, but so do the island terroirs. The wines are bright and refreshing and usually have moderate alcohol levels. Here are notes on the current Averill Creek offerings. Cowichan Black 2008 ($18 for a half bottle). This is one of the best port-style blackberry wines anyone makes on the islands. The wine has a lovely core of pristine fruit with the taste of fresh blackberries. It is delicious on its own but Andy also suggests using it in cocktails – or even over pancakes. Now that would be a breakfast of champions! Probably to no one’s surprise, Harry McWatters is developing another centre of power in the British Columbia wine industry. The founder in 1980 of Sumac Ridge Estate Winery retired last year from that winery and from associated positions with Vincor, which has owned Sumac Ridge since 2000. McWatters immediately set up Vintage Consulting Group Inc., a wine industry talent pool he assembled in Penticton. By all reports, he was soon involved with more than enough projects. She is a familiar name in the Okanagan wine business. She is Harry’s daughter and was schooled in marketing at Sumac Ridge before getting wider responsibilities at Vincor as marketing manager. Bright and personable, she is every bit as good at marketing as her father – and that is formidable. * Tom DiBello, who left CedarCreek Estate Winery last month after 10 years as the winemaker, has agreed to become one of consulting team at Vintage. “Tom is respected as one of the very best winemakers in Canada, and brings with him a wealth of knowledge, in both enology and viticulture,” McWatters said in his announcement. 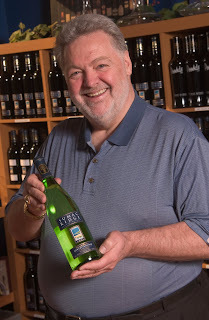 DiBello, a graduate of the University of California’s prestigious wine school, has a quarter century of experience making wine in the United States, Australia and Canada. Under his hand, CedarCreek twice received the award as Canada’s winery of the year in the Canadian Wine Awards competition. His skills will help fill the hole that will be left at Vintage next month when Mark Sheridan leaves McWatters’s firm to become general manager at Hester Creek Estate Winery. An Australia viticulturist, Sheridan managed Vincor’s vineyards in the Okanagan for 10 years before joining the Vintage group of consultants last year. * Jodi Ennis, formerly a manager of hospitality and administration at Sumac Ridge, is becoming the full-time administrator at Vintage. That frees up McWatters and his team to focus on wine industry projects. McWatters generally keeps the names of his clients confidential. It is known, however, that his firm helped get the Fort Berens Estate Winery at Lillooet established last year. It is also reported in industry circles that his firm has been developing a proposal for a facility providing custom winemaking services for start-up wineries. Vintage is structured so that it employs only a handful of fulltime people but has available a roster of top notch consultants that can be drawn on as required. McWatters has the connections and the experience to go out and find whatever wine industry talent his clients may need. Vintage has the potential to become a wine industry powerhouse, given McWatters's track record. Under his direction, Sumac Ridge was an important innovator - the first to plant a major vineyard of Bordeaux varietals on Black Sage Road; the first to develop a commercially successful Okanagan sparkling wine; the first to have a winery restaurant; the first winery in Canada to begin using Meritage on its Bordeaux blends; and the first Okanagan winery to release a $50-a-bottle of time. That is just the tip of the iceberg. No winery did more to popularize Gewurztraminer. The largest selling Canadian Gewurztraminer is Sumac Ridge's Private Reserve. McWatters also was influential in industry affairs as a founder of the B.C. Wine Institute, a promoter of the Vintners' Quality Alliance wine standards, and a founder of what is now called the Okanagan Wine Festivals Society. Clearly, he is not a retiring kind of fellow.